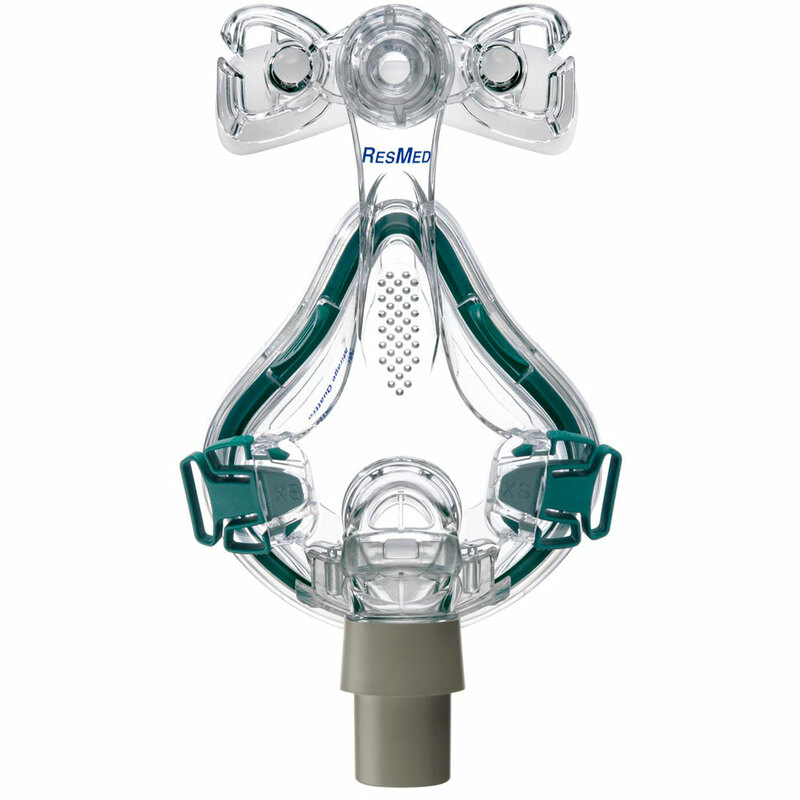 The ResMed Mirage Quattro™ Full Face CPAP Mask provides the highest standards in comfort, quietness, and efficiency through the use of multiple innovative features. The ResMed Mirage Quattro™ Full Face CPAP mask has proven to be the most popular full face CPAP mask on the market today. This item does not include the headgear, Replacement headgear is available here. The new MicroFit dial allows the patient to find the exact fit, preventing leaks and boosting comfort while relieving pressure on the bridge of the nose. Headgear clips allow you to conveniently remove the mask without interfering with settings eliminating the need to constantly adjust the mask. The ResMed Mirage Quattro™ Full Face CPAP mask has a built in quick release to allow CPAP users to get up during the night, without having to remove their CPAP mask. It is recommended by the manufacturer to wash the mask daily with warm water and mild detergent. Make sure to rinse thoroughly and lay flat to dry before use. Avoid direct sunlight. THE MASK IS A GOD SEND...IT FITS WELL AND IS QUIET!!! YES, QUIET!